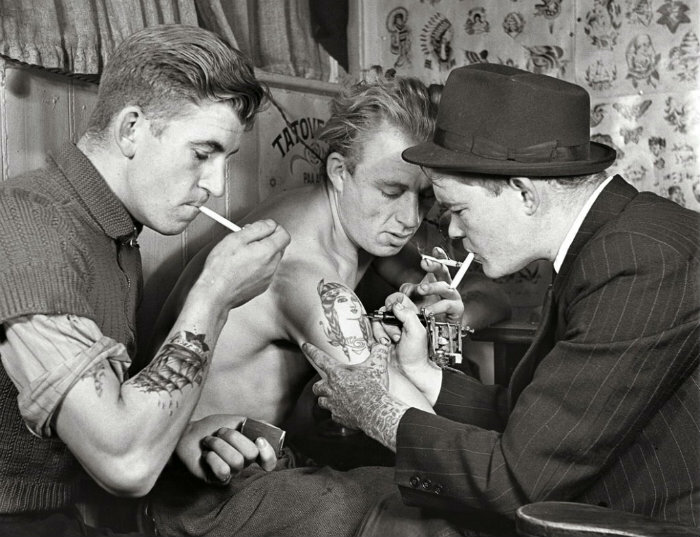 The Nautical History of Tattoos. Traditional tattoo designs, like anchors, swallows, and nautical stars, are popping up on the arms and ankles of kids in every hip neighborhood from Brooklyn to Berlin, Sao Paulo to San Francisco. In fact, contemporary tattooing in the West can be traced to the 15th century, when European pilgrims would mark themselves with reminders of locations they visited, as well as the names of their hometowns and spouses to help identify their bodies should they die during their travels. “The attractions of tattoos for itinerant populations are quite obvious,” says tattoo-art historian Matt Lodder. 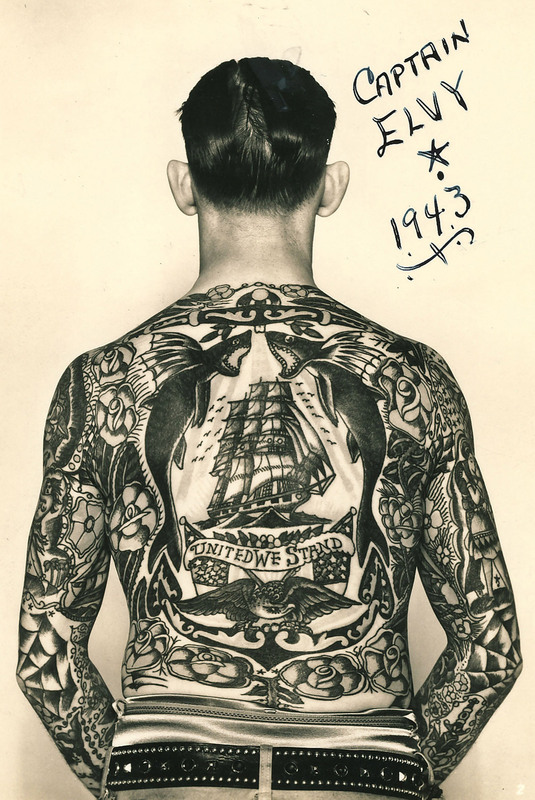 Though tattooing was already present in much of Europe, during the 1700s, the visibility of exotic voyages taken by the likes of Captain James Cook helped cement the connection between tattoos and seafaring men in the popular media. The English word “tattoo” is actually a descendant of the Tahitian word “tatau,” which Cook recorded after a stop on the island while travelling in the South Pacific. European explorers frequently returned with tattooed foreigners to exhibit as oddities in the West, like Omai, the native Raiatean man Cook presented to King George and members of British royal society. Such publicity soon ignited a more widespread fascination with body art. 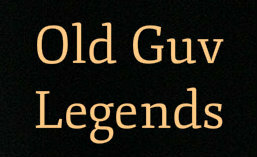 Read on via Hello Sailor! 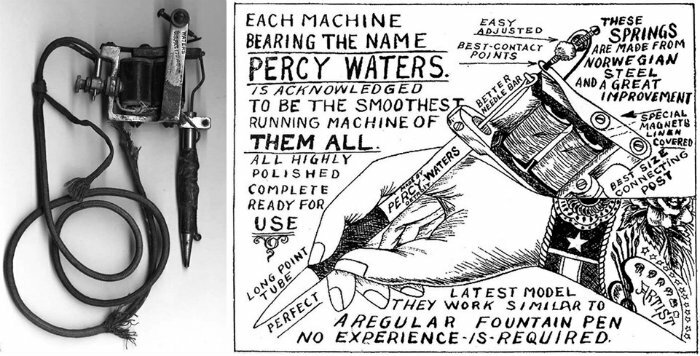 The Nautical Roots of Popular Tattoos | Collectors Weekly. This entry was posted in ART AND CULTURE and tagged TheBody. Bookmark the permalink. ← The ‘Singing Dog’ of West Papua. Good morning my friend!! My son is a tattoo artist…. you can not imagine how much I have learned from his studies about the history of tattoo!!!!! Gudday to you efge63, A good tattoo artist earns a good living in Adelaide and I’m sure they are very much in demand in Greece as well.Good on him. To me, tattoos are as bad as graffiti – crap! It is one in five people (I believe) who now has a tattoo. It’s a pandemic! All that money spent on, mostly, undecipherable blurs – what a waste! Didn’t the advert on TV of the old lady with the frying pans ward you off from getting a tattoo? “Bad choices made years ago.” Obviously not! You can’t work out what most of them are – and what is the point of having them on your back or on the back of your legs? The wearer can’t bluddy well see them, so they have paid all that money for someone else to look at them. I don’t understand the logic of having them, I’m afraid. Some have them as tributes to their kids with their birth dates, or RIP notices with birth and death dates. Why, oh why? Thanks for the input Nick we will see if that Excites people like efge and others. I hope it excites people to comment – that’s what the Comment box is for. Is Esther’s a red paint-spattered hand holding a rocket, by any chance? No, I think it’s some old Celtic motif and she’s got a flower somewhere.